Even the best-laid plans can go astray if you get divorced from a long-time spouse. Especially if you go your separate ways after raising children and acquiring property together, your estate plan may need to be revised, and pronto. Frequently, the main objective in a divorce is to keep assets away from the ex-spouse while preserving wealth for the children. But this can become complicated when one or more of the children are still minors. Typically, your kids will be next in line to receive assets under your will. What are the potential problems? Although a divorce generally erases the rights of an ex-spouse under a will, property going to minors will be held in a conservatorship until the age of majority in the state where you reside—usually, age 18. And, if your ex-spouse is the conservator, he or she may have more control over your assets than you would have liked. A court will supervise the conservator, but that person still has considerable discretion over what happens to property. Other problems may arise if a child doesn't have the financial knowledge and expertise to manage assets after reaching the age of majority. A good chunk of your accumulated wealth could be squandered through spending sprees or bad investments. But you don't have to stand pat and just let things play out. You can update your estate plan by creating or modifying one or more trusts. You also might eliminate or revise other trusts that had your ex-spouse playing a pivotal role. If the trust allows it, you might simply replace your former spouse with another person. With a trust that you create, you get to name the person you want to be in charge as the trustee. This person will be responsible for managing investments in the trust, distributing funds as needed, and other related financial duties. The trustee you choose should be someone you trust—a family member, friend, or a financial advisor or institution. A trust may have one principal purpose—for example, to limit the ability of children to withdraw funds—or several, and a main goal may be to minimize taxes under federal estate tax rules (as well as state inheritance taxes in some cases). These five types of trusts could be helpful as part of your estate plan—but may need to be modified if you get divorced. 1. Revocable living trusts: You can be the sole trustee during your lifetime and designate a successor upon incapacity or death. Thus, you'll retain a high level of control while you're alive. You may sell trust assets, amend the terms of the trust, or revoke it entirely. Generally, the trust becomes irrevocable when you die. 2. Life insurance trusts: Life insurance proceeds paid out from a policy that has you as the insured person are exempt from estate tax only if you don't possess any "incidents of ownership" (for example, the right to change beneficiaries) in the policy. To avoid dire tax results, you could set up an irrevocable life insurance trust (ILIT) and transfer complete ownership of the policy to the ILIT. 3. Bypass trusts: As the name implies, a bypass trust (also called a "credit shelter trust") is established so that funds can bypass your spouse's estate on their way to your children. Because the trust effectively can use the full estate tax exemption for each spouse, it enables a married couple to transfer millions of dollars without paying any federal estate tax. 4. Q-Tip trusts: With a qualified terminable interest property (Q-tip) trust, a surviving spouse must receive all the income, but not principal, and the children can receive the remainder upon the surviving spouse's death. 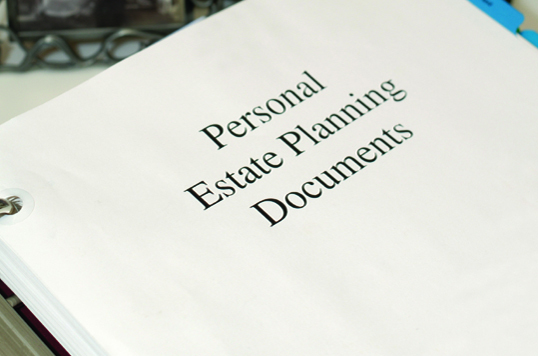 This trust is often used to defer estate tax until the second death. 5. Spendthrift trusts: This type of trust is designed to protect against creditors (including a spouse you have divorced or are divorcing). Finally, you may also use a trust for your own benefits, in lieu of a prenuptial agreement, to protect your own interests in the event you remarry.